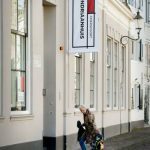 The Mondrian House in Amersfoort, Netherlands, has been renovated to coincide with the 100th anniversary of the De Stijl art movement. 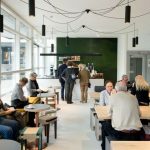 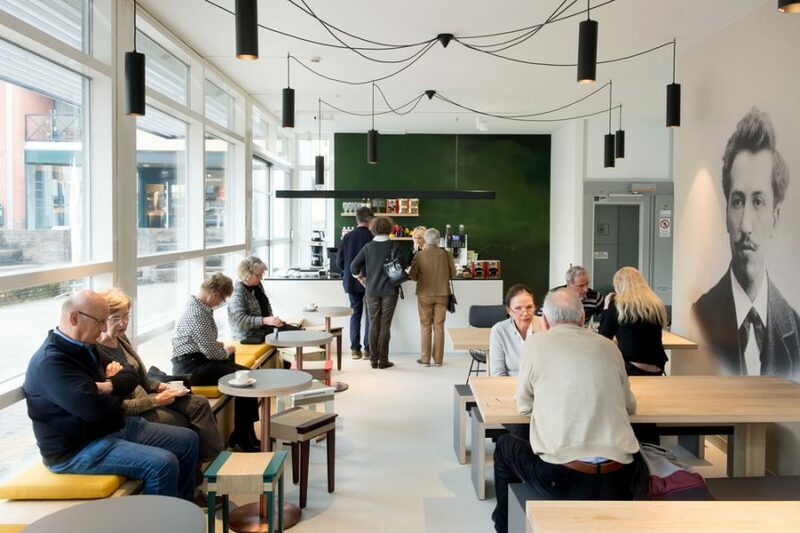 created and produced the multimedia concept and a new design for the interior, covering everything from entrance, café, and shop to routing and atmosphere. 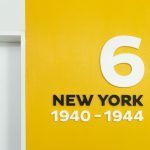 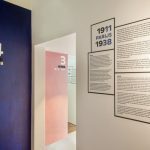 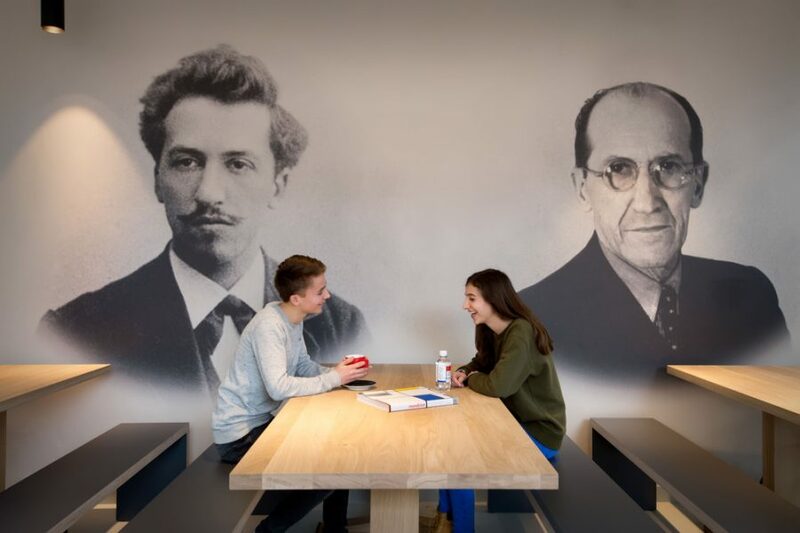 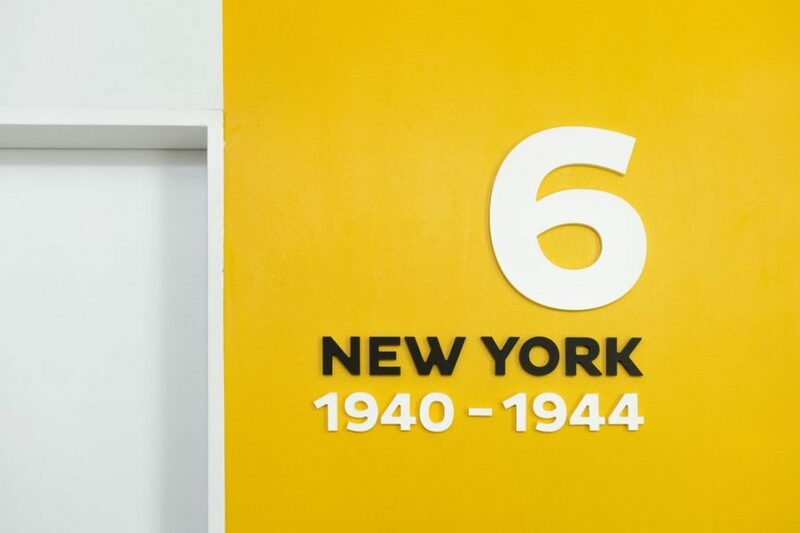 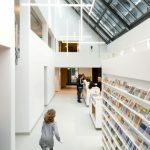 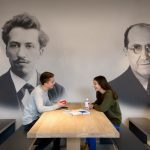 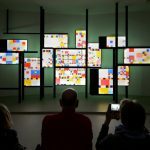 In the house where Piet Mondrian was born, visitors walk through the life of this headstrong pioneer of abstract art: from Amersfoort to Winterswijk, and from Amsterdam via Paris and London to New York, his final destination. 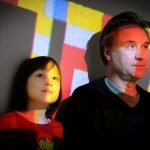 They get to know his iconic work, his spiritual formation, his interests and his friends, and join him in his artistic quest. 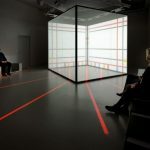 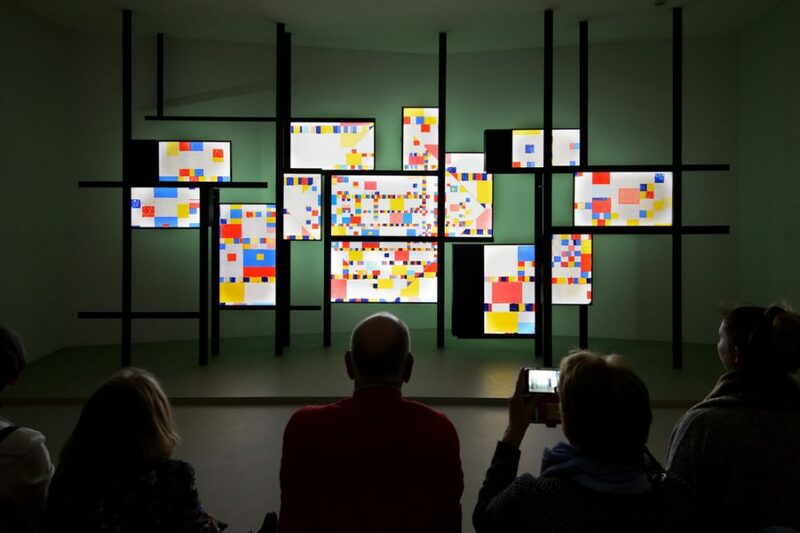 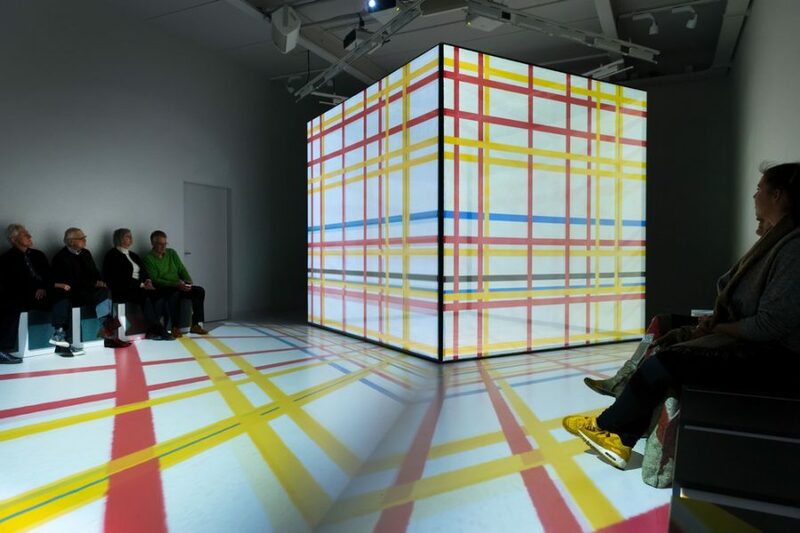 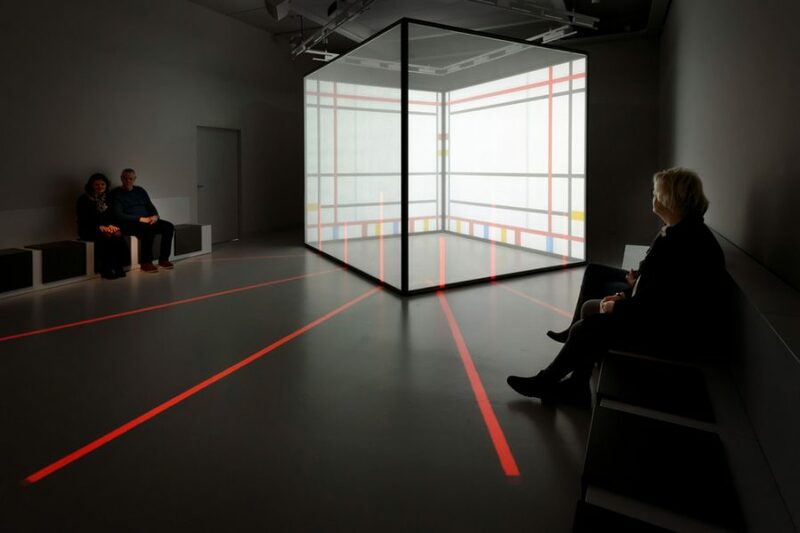 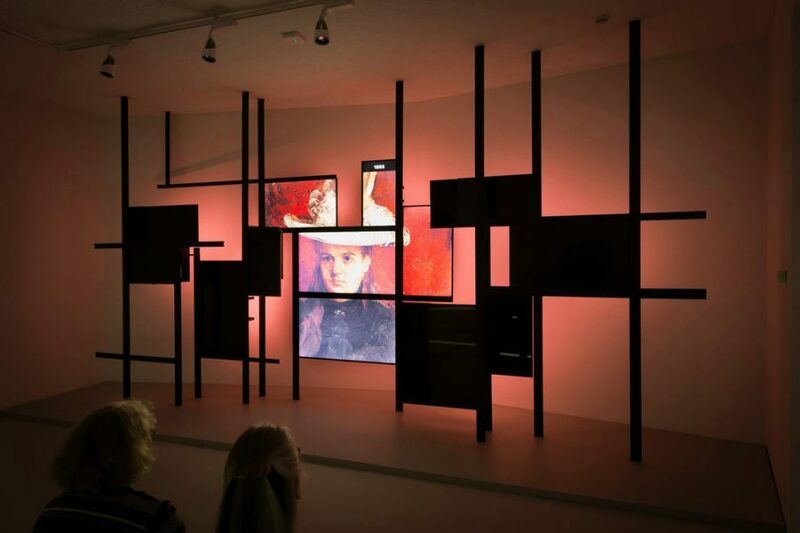 The journey starts with a video installation of Mondrian’s oeuvre, a musical picture story that takes the visitors from his early landscapes and colourful seascapes to the abstract world he is famous for. 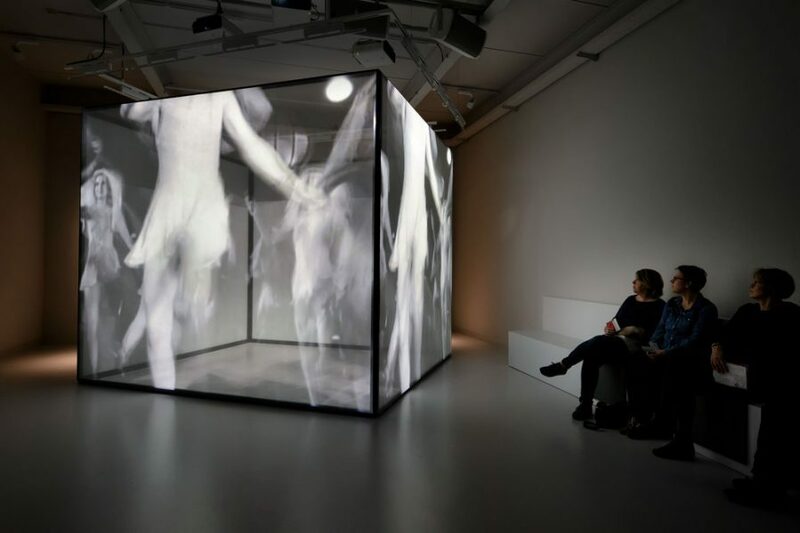 Accompanied by the contemporary music that he liked, from Ravel and Jazz, to Stravinsky and Boogie-Woogie. 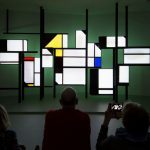 Mondrian spent his last years in New York, where he made a fresh start: he got rid of the black lines and explored new spaces in his work. 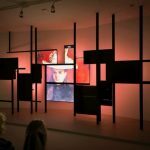 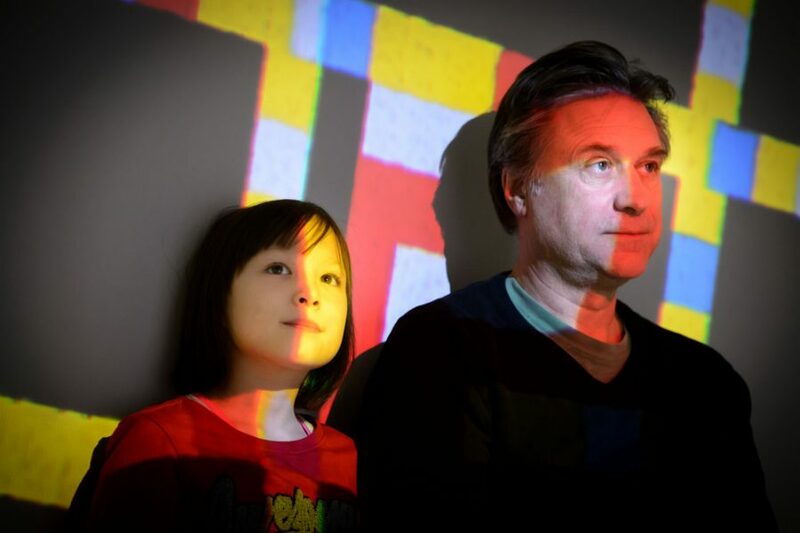 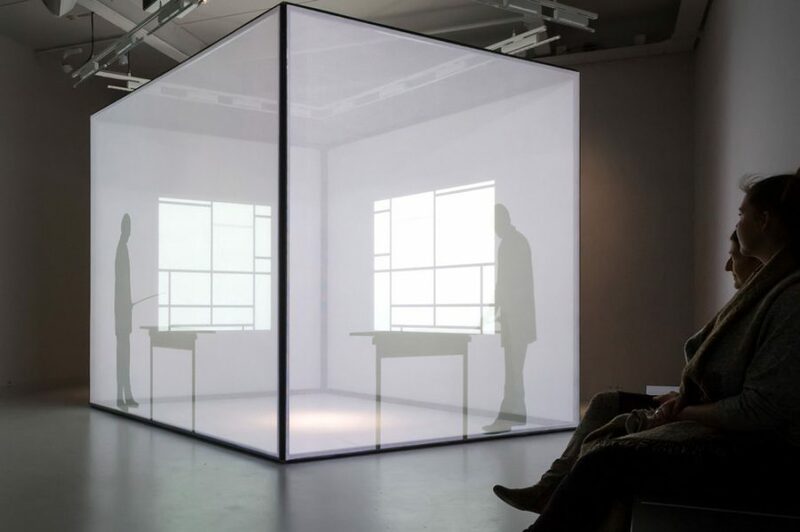 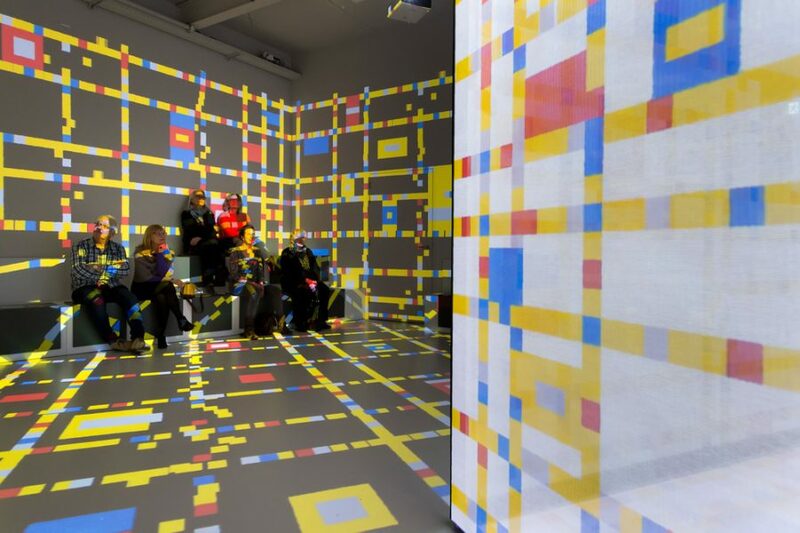 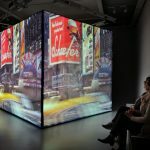 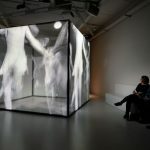 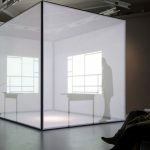 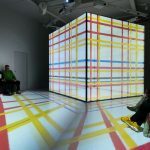 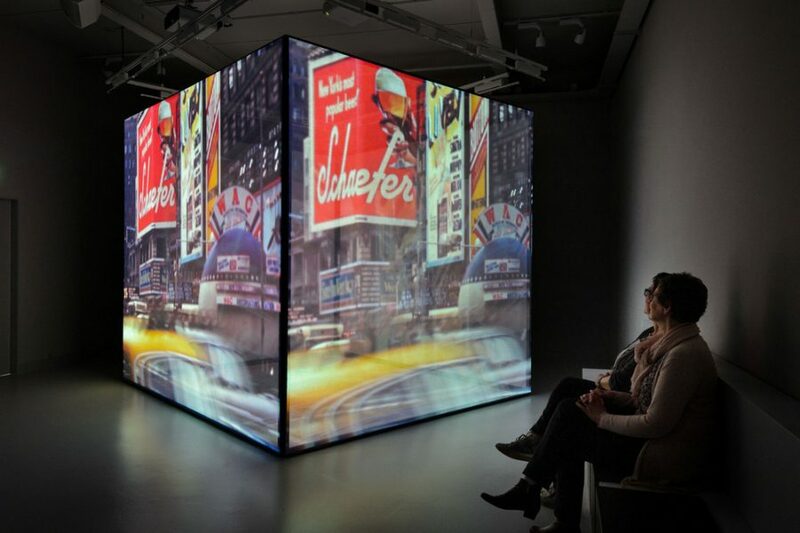 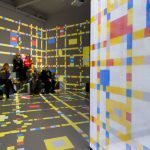 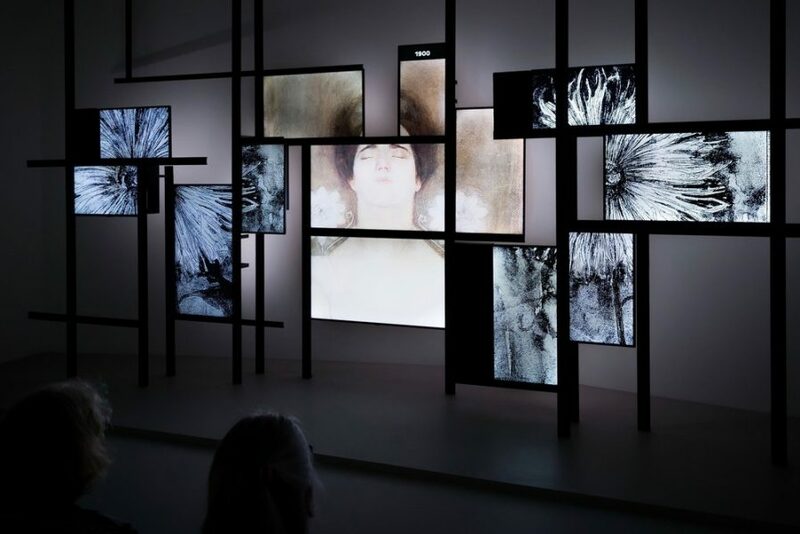 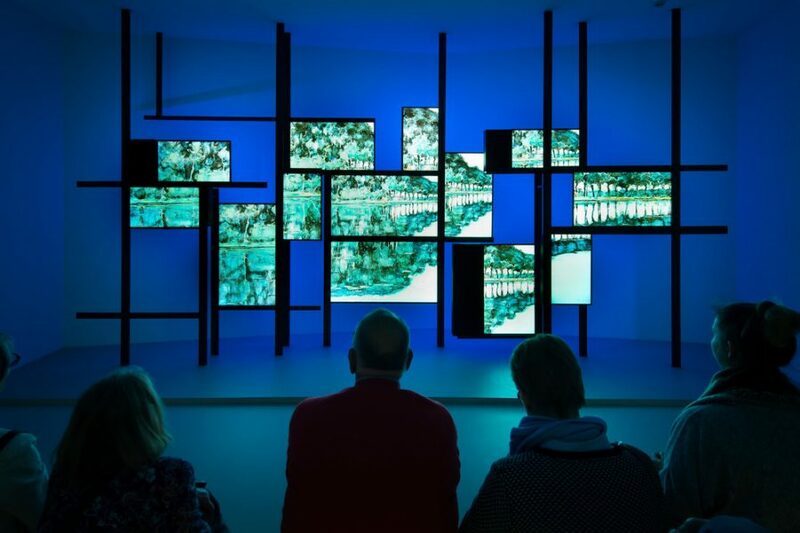 Visitors enter Mondrian’s dream world, in which his work, the city, and his favourite music all melt together into one audio-visual spectacle. 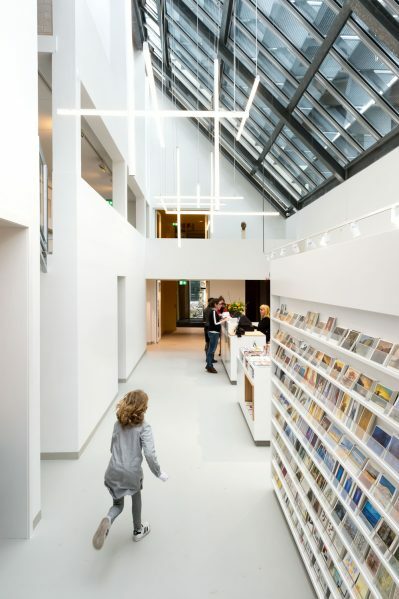 The renovation of the interior was based on the concept of an empty canvas. 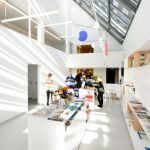 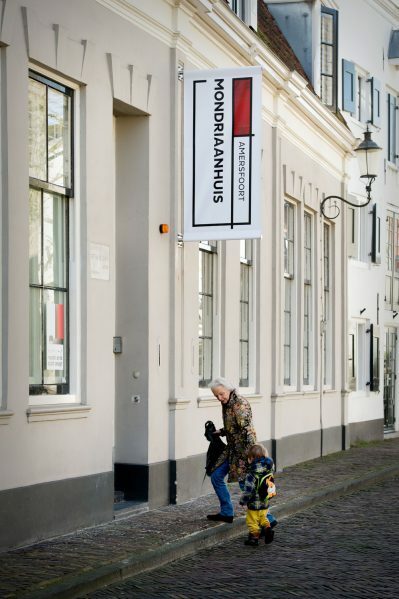 When entering the Mondriaanhuis, you experience a white, bright space. 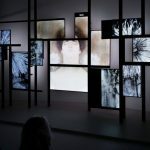 Along the route through the museum, the canvas of his life is gradually filled in. 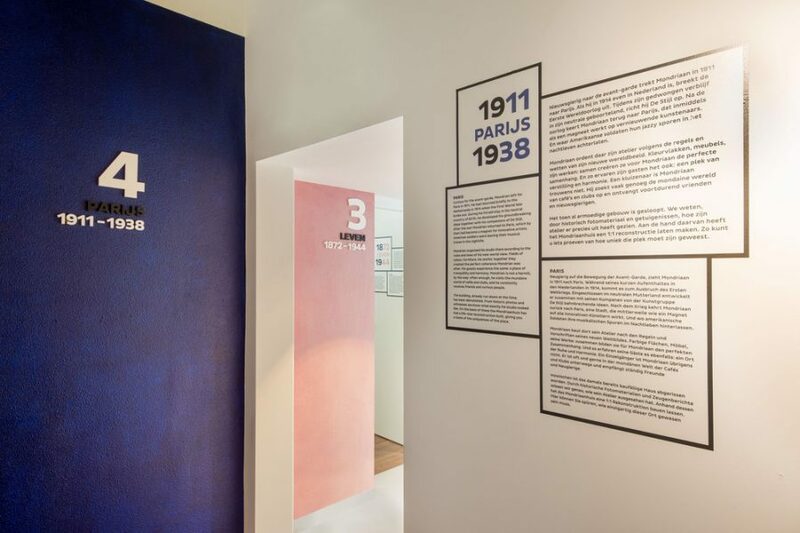 The artistic signposts consist of large, coloured areas that refer to colours from his entire oeuvre, such as the dark greens or pinks from his early period. 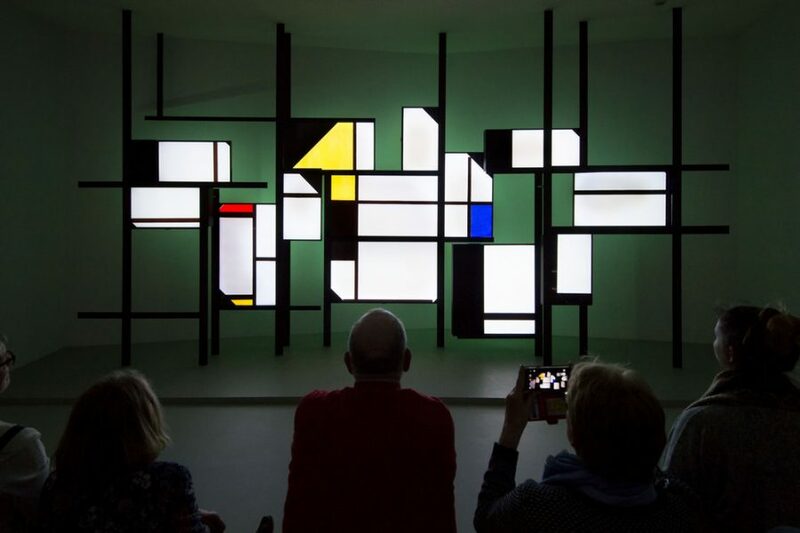 These have been hand painted in the layered structure that is characteristic of Mondrian. 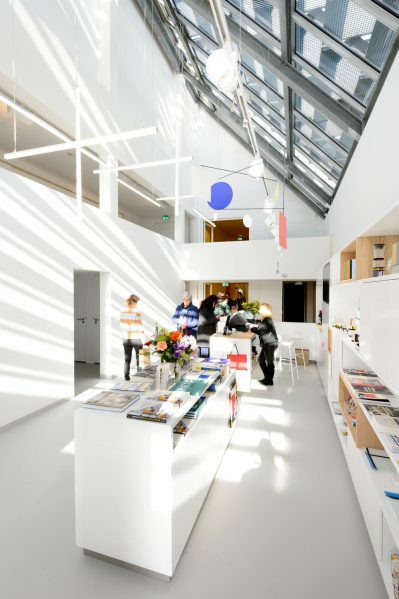 Before long, work on the Mondriaanhuis will continue with, among other things, a trip along the highlights of his Dutch period, an upgrade of the Parisian studio and DIY studio, and an intermezzo in London.